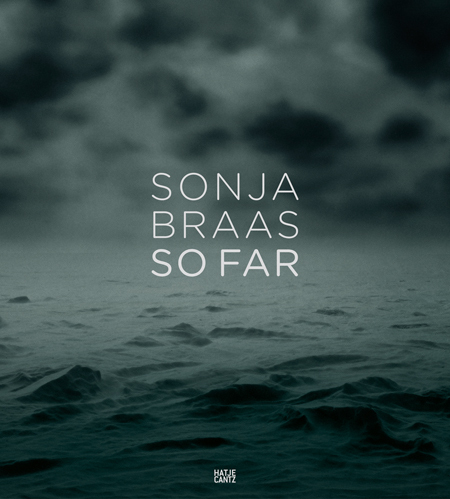 Book Review So Far By Sonja Braas Reviewed by David Ondrik So Far is Sonja Braas' second book, following 2004's Forces. It is a survey of selected images from four different series: The Passage, The Quiet of Dissolution, Forces, and You Are Here. Braas uses photography to make her art, but not in the way that currently overflows digital services like Flickr and Instagram. Instead, most of the photographs are made from carefully constructed models of landscapes that recall 19th century Romantic paintings. So Far. By Sonja Braas. Hatje Cantz, 2013. Hardbound. 122 pp., 97 color illustrations, 11-3/4x10-1/2". So Far is Sonja Braas' second book, following 2004's Forces. It is a survey of selected images from four different series: The Passage, The Quiet of Dissolution, Forces, and You Are Here. Braas uses photography to make her art, but not in the way that currently overflows digital services like Flickr and Instagram. Instead, most of the photographs are made from carefully constructed models of landscapes that recall 19th century Romantic paintings. I see more in common with Caspar David Friedrich and Joseph Mallord William Turner than I do William Eggleston or even other constructed-reality photographers like Jeff Wall and Gregory Crewdson. The book starts with two essays; the first by Stephan Berg and the second by Diana Edkins. These essays are dense, especially Berg's, but offer insight into Braas' motivation and artistic intention. To sum them up very broadly, Braas is largely interested in the way that we experience nature, and the way that our experience of nature is heavily mediated by cultural artifacts, such as postcards and zoo dioramas. So Far, by Sonja Braas. Published by Hatje Cantz, 2013. You Are Here, the oldest series in the book, certainly drives this home. It is made up of "real" landscapes, that is, undeveloped landscapes the photographer could stand within and photograph a portion of, as well as "fake" landscapes, mostly photographed at zoos and museums. It is surprisingly difficult to sort out whether a landscape is "real" or "fake," which is, of course, the point. The photographs illustrate how thoroughly our view of what nature should look like is shaped by our experience of it from media sources. Braas even recounts the experience of visiting the Central American rainforests for the first time and being disappointed that they weren't actually much like the dense, dark, animal-packed rainforests she knew through photographs and travel magazines. Forces is the body of images that owes the most to Romanticism, and is also a mix of "real" and "fake" arctic/Antarctic landscapes. Any of these images could be exhibited next to Friedrich's 1824 painting Sea of Ice. The subjects of these images are natural, terrifyingly dangerous icy landscapes that are made safe to experience from the comfort of the living room by nature of being reproductions. The models in the photographs are so convincing that I have to take Edkins at her word that, when viewed as full-sized photographs, there are hints that we're looking at models. But as they are reproduced in the book, it is incredibly difficult to see these hints. The Quiet of Dissolution is a series of disaster scenes made entirely from models. Here Braas has stepped up the frightening quality of the images: there are lava flows, tornadoes, forest fires, storms, floods, and burning cities. They are wonderfully convincing. It should be completely irrelevant that Braas did not find an actual burning city to photograph, although I'm certain that some could drag out tired arguments about what makes a photograph "real" and claim disappointment. But they'd be missing the point. The Passage is the first body of work in the book, and the most Zen-like in composition. It is very reminiscent of Hiroshi Sugimoto's Seascapes, but these are constructed-by-the-artist snowscapes. This body of work is quiet and meditative, and appears to be less interested in how we interact with nature; instead, it presents quiet spaces where we can think about our insignificance in the face of nature's cruel grandeur. It's a great way to start the book, and the images are awesome in the more traditional meaning of the word. The book itself is printed very well. The paper stock is wonderfully tactile and the images are very well reproduced. The cover-bookboard has one of Braas' The Passagephotographs wrapped around it with a (hopefully) durable matte finish. It's not luxurious, but it's good. My copy doesn't want to close all the way, and the top cover is warped a little. I've been told in the past that this indicates rushed production, but I am uncertain if it's just an issue with the review copy I received.